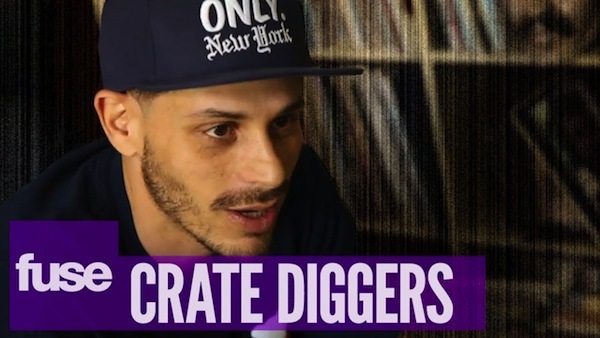 For those of you that know me, I am a huge fan of vinyl records… In this episode of Crate Diggers, Fuse links up with Evidence to get some insight into his record collection. Watch the video below. So for people who know me… I’ve always been a crate digger. What is a crate digger you ask? It’s when you search for certain records at a vinyl record store. It also means someone who likes to find samples that were used in other songs. Jason Derulo’s song “Whatcha Say” samples Imogen Heap’s “Hide and Seek”… which is a really dope song too… Check out Imogen Heap above, and Jason Derulo’s song below. The sampled part is around 2:52. “Hide and Seek” was also licensed for the television series The O.C., and later parodied in a 2007 Saturday Night Live Digital Short called “The Shooting”.